Simplifies admin work by allowing them to easily import and export a large number of CMS pages at once. Explore all Magento 2 Import Export extensions! Stop manually creating a larger number of CMS pages anymore! If you are considering to move your store to a new website, you had better forget spending a lot of time and human resources adding CMS pages one by one. A more optimized solution of both time and money should be carefully considered here, which can free you from the huge amount of work effectively. You need to download the sample CSV file and then complete all necessary CMS page data in this file to import into Magento 2 website. Data includes title, page layout, meta keywords, meta description, identifier, content, and so on. The CSV file is now ready and you can start to do Import settings in the backend. 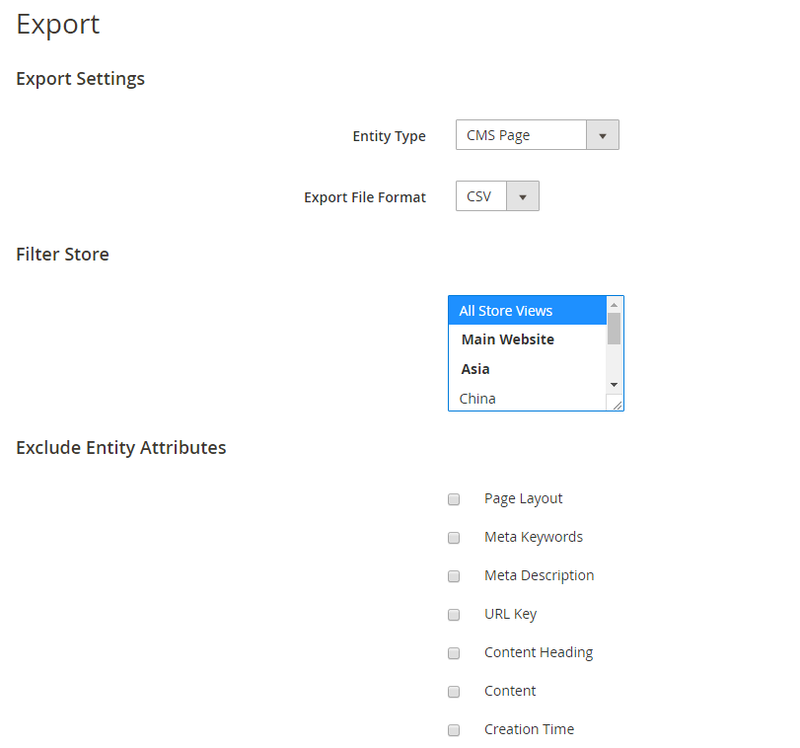 This Magento 2 Import Export CMS Page extension helps ad mins to easily import multiple CMS pages to Magento 2 websites by following similar steps to default Import function. After importing, you can navigate to Content → Pages and check imported CMS pages in the grid table view. 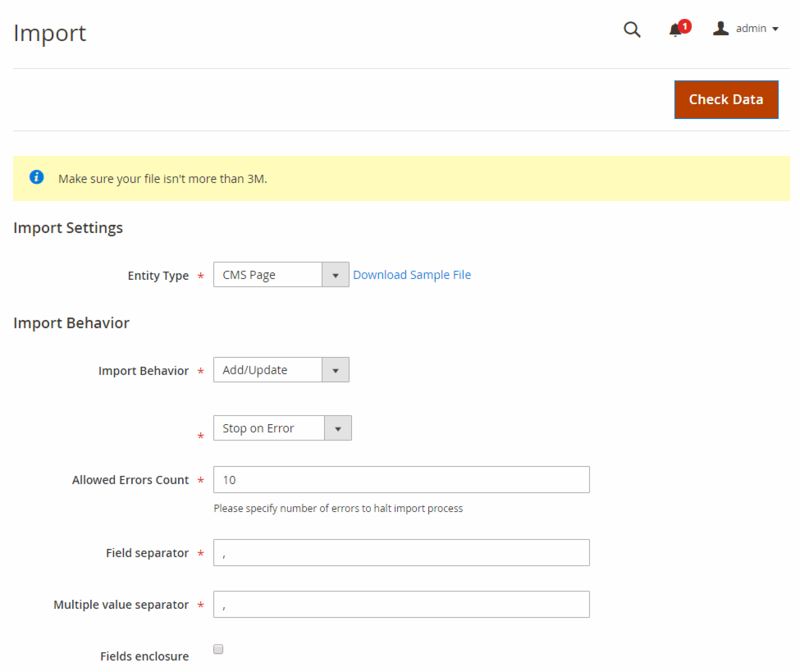 Admins also can export all available CMS pages to a CSV file and it is more useful to select which data is excluded from exporting. With above mentioned features, we are confident to say that it is definitely your seeking solution! We not only guarantee the module quality but also attractive policies and high qualified support team to solve your issue as soon as possible. Can’t wait anymore? Try it now.